Squeaky Clean Productions + yelp! Check out these great reviews from Yelp! Why do you need Squeaky Clean Productions? It's tough raising children these days, especially in Southern California. You have so much to do and so little time. You run/drive all over the place just for your children. Here area few things you juggle weekly. Not to mention, making sure everyone is dressed, well fed and prepped for each day! These ALL take time and leave you very little for yourself. Of course I left out one of the biggest "time eaters" in Southern California...TRAFFIC! Wow, you do it all. AND now you have to plan a spectacular birthday party for your kiddo on top of all of this! Don't worry, help is only a few "clicks" away! I've teamed up with yelp to help parents such as yourself prepare the BEST birthday party possible for YOUR CHILD. I promise you, that I will make your child's party Amazing, Unforgettable and Fun with FUNtastic Family Magic and/or Amazing Balloon Creations. Please send me free birthday info! Who is Harvey Simpson of Squeaky Clean Productions? I have invested the last 25 years of my life helping moms and dads all over Southern California provide the BEST birthday experience for their kiddos. I have performed thousands of shows around the county for a over a million people (not all at once!). I make my full-time living as a magician/balloon artist. I began my full-time career in the late '80s at the tender age of 18. I began working as a "house magician" at the Magic Island in Newport Beach, Ca. I was fortunate enough to associate with some of the biggest names in magic at the time. A couple of them became life-long friends/mentors and one actually showed me how to make a living doing magic. (He opened up his books for me and taught me marketing, showmanship, etc. 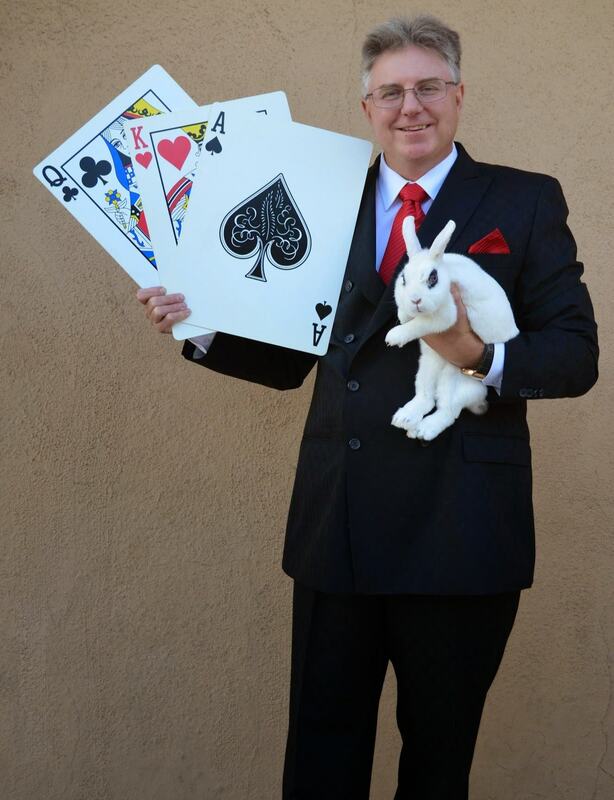 When not performing at birthday parties, I also entertain/educate at schools and churches with my Edutainment Magic Shows (public schools/libraries/parks), or my Gospel Illusion shows (Christian Schools and Churches - I am also an ordained minister in the Pillar of Fire Church and am on the pastoral staff at Pillar of Fire Church, Los Angeles). Another service I can now offer is a two hour variety comedy/magic/balloon/ventriloquism show for FUNdraising opportunities. (But that web-site ins't built yet). About 6 years ago, I started practicing the art of "extreme" balloon sculpting. Now I am one of the top balloon artists in Southern California and also associate with some of the greatest balloon artists around the world! Finally, I've been EXTREMELY HAPPILY married for over 23 years. My bride, Denise and I have 2 kiddo girls, 1 in college in San Diego and 1 still with us at home in home in high school. As a family man, I know what makes families laugh! Hire me and I promise you and your kiddo will have a great time at his/her birthday party! Request your free, no obligation package/pricing. 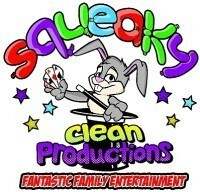 What do you get with Squeaky Clean Productions? guaranteed, laughter-packed with comedy, puppets, fun and lots of colorful Amazing Balloon Creations! It's all tried and true A+ material. Your child & guests will have a GREAT TIME! As an added bonus... the star of the show is YOUR CHILD! YOUR CHILD actually gets to help make the magic happen! Imagine the look of wonder and surprise on their face as they help create the magic for their guests! Plus there's tons of HILARIOUS audience participation! Everyone gets to help out in some way, which is important because, as you know, children don’t want to just sit and watch – they want to get into the act, don’t they? ...and we can't stop them! Rocky the Radical Raccoon will make an appearance! with delight as he tries to take over the show! For the grand finale, your child will assist in creating a balloon birthday cake or other special balloon custom designed just for him/her! This balloon cake makes a great hat – or a fun, festive centerpiece to add to your party's atmosphere. check out the video below to to see a snippet of the FUNtastic Family Birthday Magic Show. in a slide-show while listening to a VERY happy parent that left me a GREAT voice mail. Enjoy the balloons and imagine them at YOUR child's party! Imagine how much fun YOU will have watching every face in your home howling with laughter! Click here - this will take you to www.HSMagic.com - thanks! ​If you already are convinced that I'm the guy for your party, please fill in the form below and you will get instant package/pricing information. If you need to learn a little bit more about me and what I can offer for your event, please open any of the toggles below. Fill in the form below and I will rush you all the info you need! 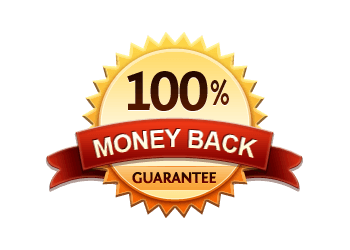 Each show/appearance is 100% money-back guaranteed to enhance YOUR event! If your child and his/her guests don’t scream with laughter, then you don’t pay! Get no-obligation, package/price list for YOUR kiddo's party. Please, make sure you type your email accurately or the information that you request will be sent to cyber-limbo!